We manufacture, export, import and supply high quality Detergent Cake Fragrance. Owing to its enticing and fresh aroma, our Detergent Cake Fragrance is highly in demand. We offer different fragrances such as lemon, rose and various others to provide a fresh fragrance to clothes. 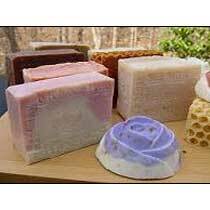 Moreover, we make available Detergent Cake Fragrance in powder and liquid forms.